Males of ‘European’ winter visitors are of the blackish grey race with white wing panel; Near Eastern semirufus is black above and on throat to lower breast, sharply defined from deep red below; NE Iranian phoenicuroides is less black above and black below extends only to mid-breast; male ochruros (Turkey to N Iran) variable; some recall European males, others resemble semirufus or phoenicuroides, but many have black breast merging into reddish belly. 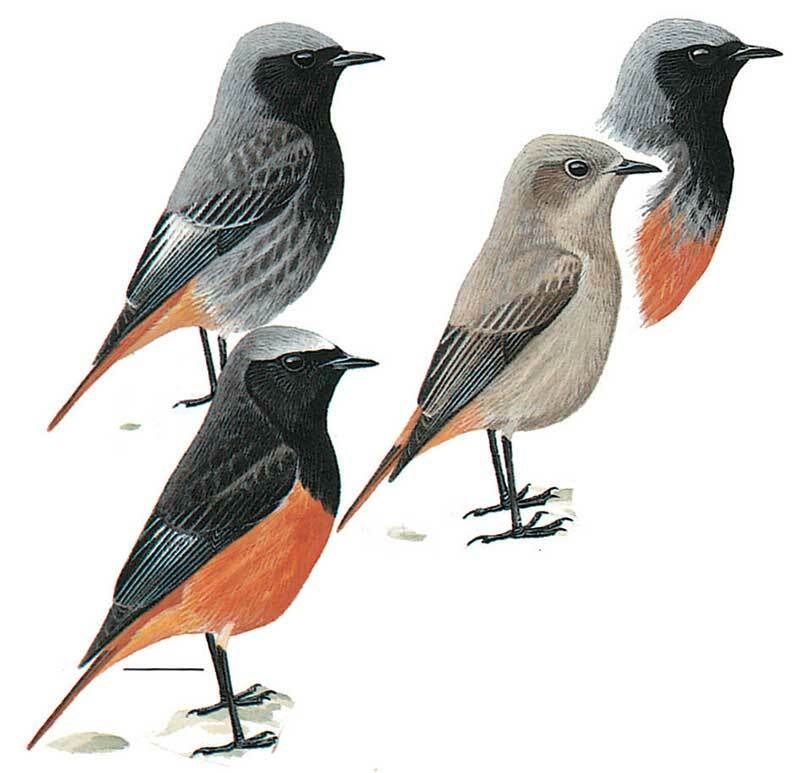 Males of all three breeding races told from Common Redstart by darker upperparts, black extending below throat and lack of pure white fore-crown. Female similar to Common Redstart but slightly darker and drabber, particularly below (Common Redstart more buffish below); some female phoenicuroides very similar to Common Redstart in colour, but note Black Redstart is more ground-dwelling. Bobs body and shivers tail like Common Redstart.